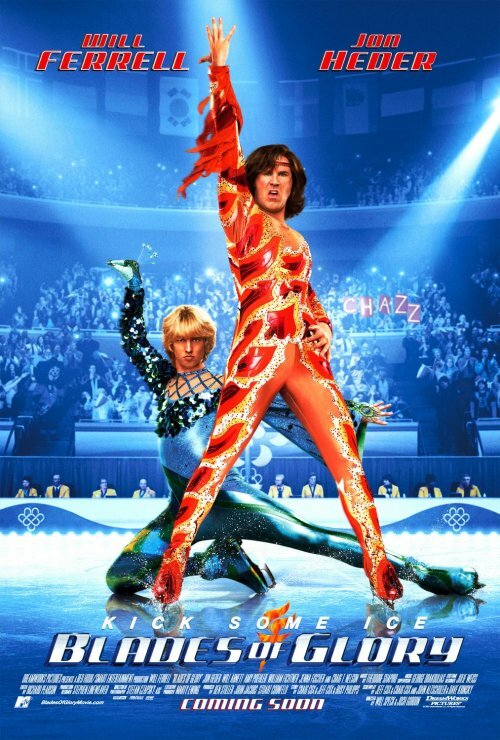 This poster is basically Will Ferrell and Jon Heder wearing flamboyant spandex suits and doing a silly pose. Which I guess is a pretty good description of what the movie is all about. The poster goes the “take them seriously” route. It doesn’t itself make fun of the characters, what they do or their seriousness. That job is left for us in the audience. I think that is a good way to go, considering the film’s narrow premise. Blades of Glory opens this Friday.